Mary White College was founded on 10 June 1957, one of the first two purpose-built residential colleges on the campus of The University of New England. The College was named after Miss Mary White of Saumarez, who was a member of the Advisory Council of the then New England University College from its inception in 1938 until her death in 1948. Mary White College welcomed its first residents in March 1958 and blocks 1, 2 and 3 were fully operational by March 1959. Over the years the college has continued developing. Block 4 with the Basement Common Room was finished in June 1963 and Block 5 with the Dining Hall was completed in 1967. Blocks 6 and 7 were commenced in 1988 and completed for occupation by the 1989 intake. In 2010 Mary White completed the renovation of 3 residential blocks and the largest common area, providing improved facilities for our residents. In 2014, the College added a data projector and screen to the facilities in the Dining Hall and also redesigned the Jo Woolmington Room into a communal kitchen to allow residents the flexibility to cook for themselves on occasions. The architect John Stephen Mansfield, working on suggestions from students, was responsible for designing the College's coat-of-arms. The Mary White colours of green, white and black are arranged on the main portion of the shield. The three white roses are an appropriate variation of the three red roses on the University's coat-of-arms, and are suggestive of the name of the College. 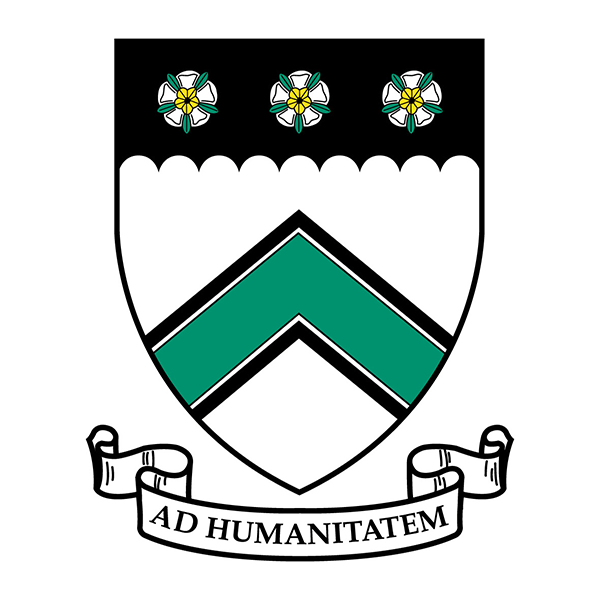 The College motto on the coat-of-arms, "Ad Humanitatem", is Latin for "Towards Human Understanding" or "For Humanity" and continues to be a guiding philosophy of the College's culture.